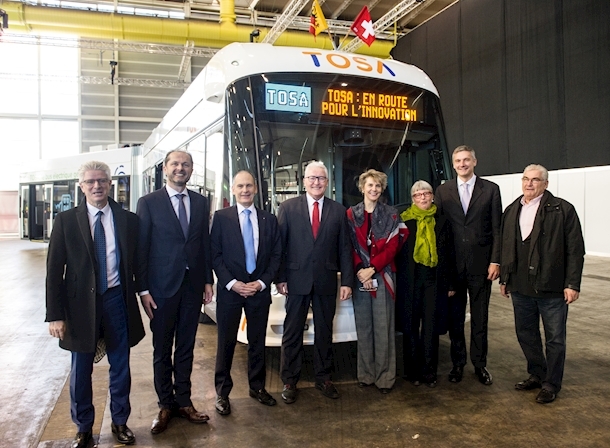 ABB’s 20-second flash-charging technology was a hot topic today as two articulated electric buses, the first of their kind in the world, went into service on bus line 23 in Geneva. 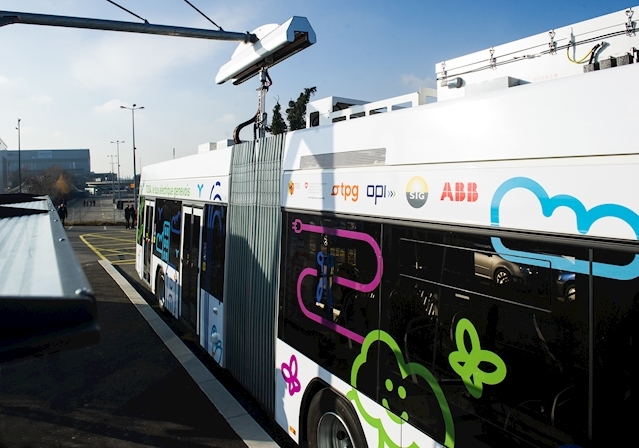 It takes less than 1 second to connect the bus to the charging point on an overhead high-power charging contact when it pulls into selected stops and tops up its batteries while passengers embark and disembark. The complete fleet of 12 emission-free buses links the airport with the city’s suburbs. Through optimal energy management, the system can save as much as 1,000 tons of carbon dioxide on a line covering 600,000 kilometers per year.